Thanks to Klout Perks, I was one of the lucky users who was able to order a set of 100 Moo Mini Business Cards for free (all I had to pay was shipping)! I already had a set of business cards that I printed cheaply and hurriedly last September for NYFW, but I was excited to put some more thought into the design of these cards and give my business cards an overall upgrade. Procrastinator that I am, I waited until the last minute to use my coupon code and sadly it didn’t work! Luckily the people at Klout Perks were very helpful and gave me a new code to use, even though the deadline had technically passed. 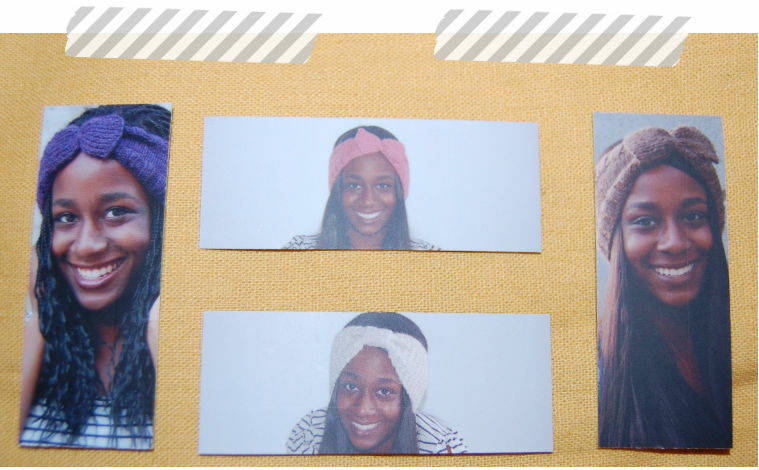 Since these are cards for both my blog and my shop, I thought it would be a good idea to use a picture of myself that also showed off one of my products. Luckily, with the set of Mini Moo Cards you’re allowed to choose several different designs, so I decided to select four of my favorite product shots. I think the fact that I’m wearing a different variation of one of my headbands gave the set of cards a nice sense of continuity, while still allowing each card to be unique. Also, Etsy and Moo have a wonderful deal that allows sellers to order a set of 50 regular-sized cards for free, so you better believe that I snagged some of those too! :) I toyed with the idea of putting a graphic (like a drawing) on some of the cards, but since I have no skills in that area whatsoever, I ended up picking my favorite picture from the Mini Set. For the back of both sets, I went for a simple and classic design with clean lettering, while also keeping with the color scheme of my blog (yellow, gray, and blue). On the larger cards, I even had room to add my blog header! I’m really pleased by the quality of my new business cards. I had heard nothing but good things about Moo and I can see why bloggers rave about the company! It was a lot of fun to design my cards and I imagine that someone with actual design skills could really go to town! 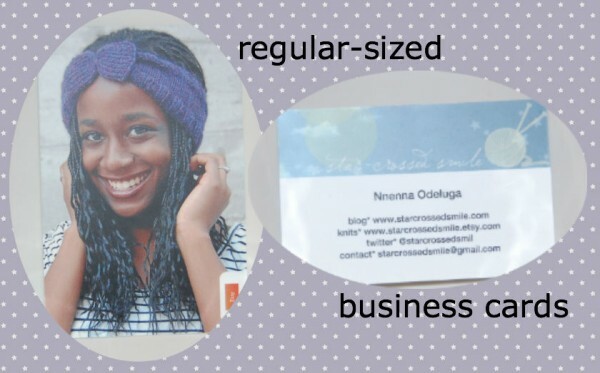 I can’t wait for the next blogger event, where I’ll feel very professional with my business cards in tow! :) Speaking of which, is anyone coming to NYC next month for NYFW and/or the IFB Conference? 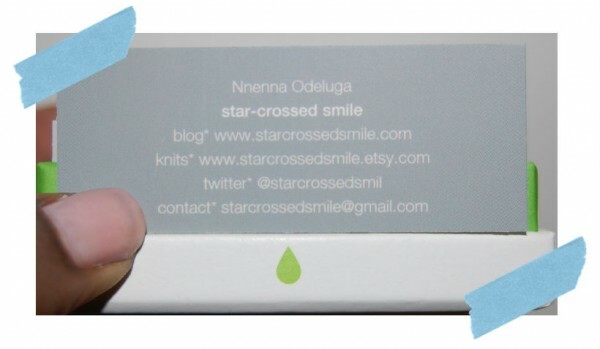 Check out Casee’s post about her new business cards to see her designs!